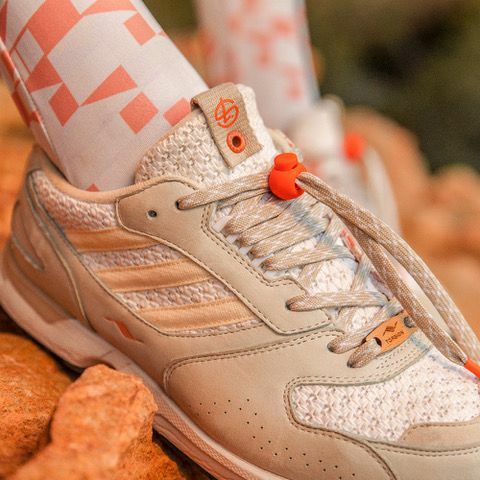 Adidas Consortium's newest collaboration is with South African online sneaker and streetwear store Shelflife. Each of Adidas Consortium's partnerships offers a creative take on the iconic styles that Adidas has developed over the decades. Shelflife has taken on the Adidas ZX running shoe series by adding its own approach to a new iteration of the ZX4000 model. The Shelflife version is defined by its understated use of greyscale nubuck and woven fabric underlays. On foot and in action, however, the medial side of the shoe is revealed, showcasing a colourful, jacquard-printed panel.